The Richardson Wildlife Foundation's 2018 Annual Report contains key information about RWF's mission, program design, recent successes, ongoing challenges, organizational achievements, and staff. 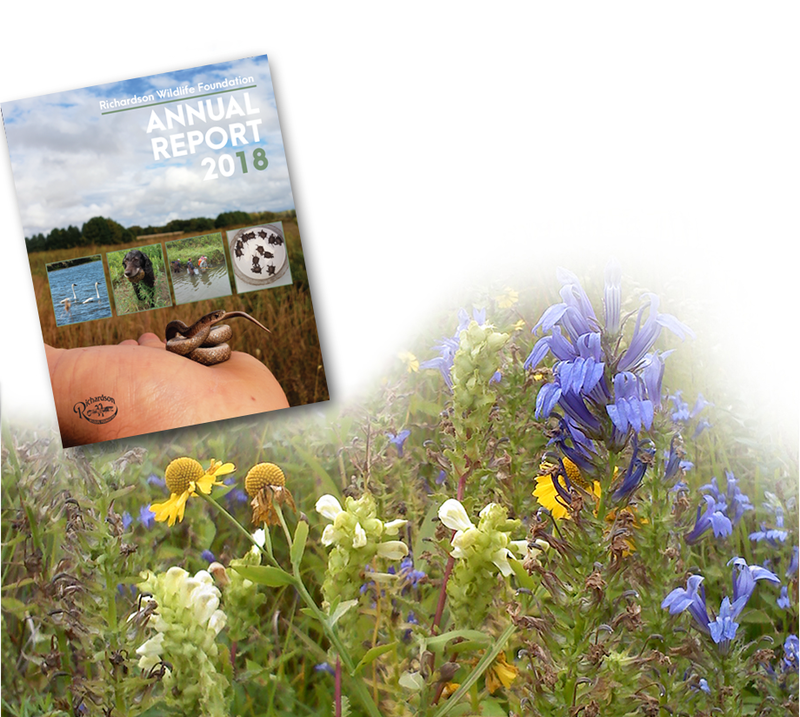 If you are interested in learning more about our habitat management practices or the research, surveys, and study projects that have been conducted on site recently the Annual Report will contain much of the information you seek. You must have a PDF viewer on your computer to download this document; you can obtain a free copy of this viewer at the Adobe Acrobat website. To request print copies of the annual report, please e-mail us and be sure to include your mailing address. Reports are only available as supplies last.